The Yemeni government’s decision in September to relocate the central bank and replace its governor has left the country without an institution capable of providing basic economic stabilization. While all the belligerent parties to Yemen’s armed conflict have sought to leverage economic factors, the incapacitation of the central bank may represent an unprecedented escalation in this regard; the international community must act to ensure the starvation of millions of people is not employed as a tactic of this war. In July 2015 the United Nations elevated the humanitarian crisis in Yemen to Level 3 – the highest designation the UN has – placing it in the same category as Syria, Iraq and South Sudan. As of October 2016, some 370,000 Yemeni children were acutely malnourished; four out of five of Yemen’s 26 million people required humanitarian assistance, and for nearly half the population this assistance was considered life-saving. The Central Bank of Yemen (CBY) had, until recently, been among the only state institutions to operate effectively at a national capacity throughout the last five years of political upheaval and armed conflict. Even as central government authority eroded across the country, the CBY had continued financial coordination with local governing councils to facilitate basic public service provision, dispersed monthly salaries to 1.2 million Yemenis on the public payroll, protected the value of the domestic currency and ensured importers access to foreign currency to purchase basic commodities. All this, while also fulfilling Yemen’s foreign debt obligations and maintaining the trust of international financial markets. Since the CBY’s incapacitation there has been a marked deterioration in the country’s humanitarian situation. It is absolutely essential that all the parties to the conflict, as well as local, regional and international stakeholders, coordinate efforts to empower the CBY to resume its functions as quickly as possible, irrespective of its location. In particular, there is an immediate critical need to pay the monthly salaries of the country’s civil servants, most of whom have not received their wages since August. Given that most civil servants are heads of households, they equate to as many as 6 millions Yemenis who have been without an income for more than two months. The resumption of import credits is also essential to ensure the country’s food supply; Yemeni wheat importers estimate that without renewed import financing for grains, existing domestic supplies will be exhausted within two months. The CBY has helped maintain basic public services across the country through continued financial coordination with local governing councils, even as the central government’s sovereignty has receded since 2011. Following the popular uprising of 2011 and subsequent political unrest, militant groups in various regions began to challenge central government authority and eroded its ability to govern large areas of the country. The subsequent civil war then further fractured political authority and centralized governance in Yemen. Despite this, the CBY’s financial coordination with local governing entities persisted. Prior to the outbreak of war, local councils in the country’s various governorates would regularly collect taxes and revenues on behalf of the central government and submit these to their local CBY branch. In return, the CBY would disperse operating funds to the local councils for public sector salaries and the provision of local services, as proportioned in the national budget. This system continued even after the onset of war and the division of the country by various military forces, the largest being those loyal to President Hadi – who is backed by a Saudi-led military coalition – and the Houthi rebel movement, allied to former President Ali Abdullah Saleh. For instance, after fighters loyal to the internationally recognized government of President Hadi had retaken the southern governorate of Aden, the local councils there continued to submit state revenues to the local CBY branch. These funds were not enough to cover operating expenses, however. Thus, CBY headquarters in Sana’a would regularly charter the state airline to fly physical currency to its branch in Aden to cover the rest of the governorate’s budget allocation, even with the capital city under the control of the Houthi rebels and their allies. The importance of maintaining this national system for leaders on either side of the conflict was apparent when, in early 2016, the governor of Hadhramaut – which is under the control of Hadi’s allies – refused to deliver local revenues to the CBY, but was forced to reverse his decision after being overruled by President Hadi’s government. The only exception to this national financing system is the Mareb governorate, which – with permission from President Hadi – ceased sending most local revenues to the CBY in 2015, with the central bank responding by suspending most of its operating funds disbursements to the governorate. This arrangement has favored the Houthis, however, who added thousands of their militiamen to the MoD’s roster after they took control of the capital and government ministries in September 2014. The internationally recognized government only began assertively recruiting soldiers in 2015, with payroll funding for these fighters arriving from Saudi Arabia and other Gulf countries backing Hadi. Similarly, the Houthis have benefited more than the internationally recognized government from the CBY continuing to pay general public sector salaries and funding government ministries. The Houthis control Yemen’s largest population centers where the majority of the country’s civil servants live and the largest portion of the ministries operate; employee salaries spur greater economic activity in these areas and also allow the Houthis to impose a “war tax” on individual salaries, while the group has regularly syphoned off funds from the budgets of government ministries to put towards its war effort. In pre-war Yemen 90% of the country’s food staples, including wheat and rice, were imported. It has thus been critical for the CBY – in terms of preventing widespread famine – to protect the value of the domestic currency and ensure importers access to foreign currency to purchase basic commodities from abroad. In regards to the Yemeni rial, for most of the past five years the CBY set the official exchange rate at 215 YER to US$1 and, in coordination with the country’s commercial banks, intervened in the market to limit the use of a parallel exchange rate. Pressures on the rial during this time have been myriad, from general economic decline and falling oil and gas exports, to foreign companies, nongovernmental organizations and international institutions evacuating their personnel and capital, to the expanding black market where traders sell rials for dollars to import fuel and other goods. In the spring of 2015 the last foreign oil company in Yemen, Total, shut down operations and evacuated its staff. Weeks later, in March 2015, the Saudi-led coalition’s military intervention began and all oil and gas production subsequently came to a halt. Yemen’s economy then effectively went into freefall. The World Bank estimated that Yemen’s GDP contracted in the range of 30% on the year, though CBY officials believe the loss may have been even more severe. The coalition’s land, sea and air blockade of the country prevented energy exports, strangled imports and created widespread fuel shortages that hobbled transportation networks. The CBY spent some $1 billion through 2016 to prop up the value of the rial. Among the few factors assisting the CBY’s efforts was that lower general economic activity in the country brought on a corresponding drop in general demand for imports (particularly fuel), leading to decreased demand for US dollars. The World Bank reported 30% inflation in Yemen for 2015, but as of February 2016, black market traders were exchanging 250 YER for US$1, a difference of only 16% from the CBY’s official rate. Anecdotal evidence at the time suggested that the rial was still the primary currency used in daily transactions in the country, though the US dollar and Saudi riyal had overtaken the YER as a “store of value”. By May 2016, however, the CBY had readjusted the official exchange rate to 250 YER per US$1 in the face of continuing pressure on the domestic currency and dwindling resources with which to intervene. As of the first week of October 2016, the rial was trading on the black market at 310 YER to the US dollar, a 24% differential from the CBY’s official rate. Between January and May 2016, some 160 billion YER was pulled from the banking system, with another 140 billion YER leaving the system in June alone. Without rials themselves the commercial banks had none to deposit at the CBY, and by August the central bank had begun to run out of physical banknotes with which to pay civil servants. In seeking to address the currency shortage, the CBY attempted to reintroduce damaged banknotes that had been previously removed from circulation; many businesses refused to accept the damaged notes, however, leaving the civil servants who received them with worthless salary payments. In 2012 foreign currency reserves peaked at more than $6 billion, following a Saudi intervention to prop up the Yemeni economy that included a $1 billion deposit at the CBY (with repayments slated to begin September 2016). After the Houthis and allied forces took control of Sana’a in September 2014 and local and foreign investments began fleeing abroad, the decline in the CBY’s foreign reserves picked up pace, dropping to $4.6 billion by year’s end. Under normal conditions this would be enough to cover just more than four months of imports, however the general decline in economic activity also reduced import demand so these reserves would likely have covered imports for a longer period. The Saudi-led military intervention, active since March 2015, became the overriding factor preventing the resumption of Yemen’s energy exports that had until then been the CBY’s primary means of restocking its foreign currency reserves. The loss of this income, coupled with the vast array of other economic pressures resulting from internal conflict, foreign intervention and the blockade, led to the CBY shedding almost 40% of its remaining foreign currency stock in the first half of 2015 alone, beginning the third quarter of the year with $2.8 billion in reserve. Through 2015 the CBY began taking action to shore up foreign currency supplies in the country through limiting local market access. This included reducing transactions in foreign currency and while various commercial banks began limiting withdrawals, depending on their ability to provide cash to customers. In July 2015 the CBY then limited its lines of credit for fuel imports, though a counterbalancing effect was an increased demand for fuel on the black market, and thus an increased demand there for US dollars. As of January 1, 2016, the CBY had roughly $2.1 billion remaining in its foreign exchange coffers, which under normal conditions would be enough for little more than two months’ worth of imports. In January 2016 the CBY issued a report to the internationally recognized government with the heading “extremely urgent, extremely important and confidential”, detailing the status of its exchange reserves and laying out three plausible scenarios going forward: (1) continue current policies of supporting the rial and imports until foreign currency reserves are expended; (2) reduce foreign currency spending through reducing import financing, and (3) maintaining reserves through ending lines of credit for imports and floating the Yemeni rial. In the report the CBY noted the likely consequences of each option: without the CBY receiving additional financial aid, the first scenario would see its foreign currency reserves run out completely by September 2016. While this would offer short-term economic stability, after September the CBY would not be able to ensure basic commodity imports or price stability for the local population. This option would also see the CBY default on its foreign debt obligations and carry the long-term risk of losing the trust of international financial markets, impacting the entire Yemeni banking system and the prospects for future international loans. If the second option were pursued, the CBY foresaw ending 2016 with $1 billion remaining in foreign currency reserves. This option envisioned approaching creditors to reschedule the CBY’s 2016 debt payments and completely ending lines of credit for fuel and sugar, while the CBY would continue to cover wheat and rice. With this scenario the CBY would maintain a degree of flexibility for economic intervention, while also offering some economic relief for the general population, though renegotiating debt payments would still pose risks for post-war funding from international agencies, and having traders buy dollars on the open market to import fuel and sugar would put downward pressure on the value of the rial. The third scenario – to float the currency and stop covering all imports – would allow the CBY to protect its current foreign currency reserves, but place intense pressure on the value of the rial and the cost of basic commodities and fuel. An anticipated general decline in global commodity prices was expected mitigate these factors somewhat, but this third scenario would still almost certainly catalyze further hardship for millions of Yemenis. After detailing these scenarios, the CBY indicated it would pursue the second option until it lacked the currency reserves to continue to do so, at which point it would adopt option three. In February, the CBY ended its financing of sugar imports, and through the first half of 2016 financed $414 million in basic commodity imports, with nearly 70% of this amount going to wheat, 20% for rice, and almost all the rest underwriting petroleum imports. Over this period total foreign currency expenditures were almost $780 million, with the largest non-import budget items being withdraws by commercial banks ($170 million), external debt servicing ($94 million), along with smaller items such as funds for embassies and scholarships for Yemeni students studying abroad. This left the CBY with roughly $1.3 billion in foreign currency reserves to begin the second half of the year. In June 2016 some oil exports from Yemen restarted after soldiers loyal to the internationally recognized government, backed by the UAE, liberated the port city of Mukalla from Al-Qaeda in the Arabian Peninsula (AQAP). Receipts from this sale would normally have been wired to the government’s account at the CBY, where they would have contributed to foreign currency reserves. Instead, however, President Hadi’s government had the funds transferred to a newly opened account at the Saudi National Bank. This move by the internationally recognized government signaled a departure from what had, until then, been a tacit agreement between the warring parties to respect the neutrality of the CBY and not to interfere in central bank operations. Indeed, after government forces retook the southern city of Aden in July 2015 and President Hadi had announced it would act as a temporary capital, there was speculation that the CBY headquarters would be moved; in response CBY governor Mohammed Awad Bin Humam had traveled from Sana’a to Saudi Arabia for talks with senior government officials who, according to a report by Reuters, assured him the central bank’s neutrality would continue to be respected. The government followed this in early August with a general request to international financial institutions to deny the CBY access to cash reserves held in accounts outside Yemen, claiming that the CBY had funneled some $4 billion worth of state funds to the Houthi movement and its allies. The financial institutions complied, and thus this move had the effect of a major economic sanction in that it severed the CBY from most of its remaining foreign currency reserves and prevented it from carrying out its primary functions. In a letter to Hadi’s cabinet that was subsequently made public, Bin Humam responded that the government’s allegations against him and the CBY were “baseless”. The governor stated that the CBY had issued regular reports to keep the government up-to-date on the status of the central bank’s actions and holdings, that all the CBY’s actions were traceable through records with international financial institutions, and there were no irregularities in the CBY’s accounts. Bin Humam then requested that the government appoint an independent international auditor to verify the CBY’s records. In an address to the UN General Assembly on September 23, President Hadi said moving the central bank would escalate pressure on the Houthi rebels controlling the capital, while also acknowledging that it would bring hardship to millions of Yemenis, stating that: “We might fail to pay the salaries of people working in public service.” In recent months various high level officials in Hadi’s government have also privately expressed their willingness to wage economic war on areas in Yemen under Houthi control. Bin Human and the board of governors in Sana’a respected Hadi’s decree and stepped down. The new governor, Monasser Al Quaiti – Hadi’s former finance minister – and his newly appointed board then officially assumed charge of central bank operations. Prior to the central bank’s transfer, however, the institutional expertise, information archives and financial reserves necessary for it to become operational in the new location had not been secured. As of this paper being published, the Aden-based CBY had announced no plans to relocate any the some 800 well-trained and seasoned staff from the former CBY headquarters in Sana’a, nor offered details as to how it planned to recruit properly qualified new staff to work in Aden. Among the obstacles in this regard is the poor security situation in Aden – epitomized by a car bomb attack on the central bank location there at the end of October – which has prompted the internationally recognized government itself to continue operating largely from Riyadh. The new CBY administration has also announced no plans to transfer the Sana’a-based CBY’s vast archives of documents – such as public sector payrolls and balance sheets of assets and obligations – much of which exists in paper form only. Governor Al Quaiti met with international agencies and western diplomats on a trip to the US in October, during which the new CBY governor promised that his administration would in the very short term begin exercising the primary functions of a central bank, including paying civil servants, financing imports and stabilizing the domestic currency. Various diplomatic sources familiar with the meeting reported, however, that Al Quaiti offered no substantive plans as to how his commitments would be achieved. It is this overwhelming lack of clarity surrounding the newly appointed governor and the Aden-based CBY that is souring the trust of Yemeni commercial banks, businesses, traders and the general public, as well as international financial institutions and foreign lenders – all the more so in light of the trust the previous governor had garnered over years of service, and how vehemently and personally he had been attacked by the current CBY administration and Hadi’s cabinet. Even sympathetic governments such as Saudi Arabia and the United Arab Emirates, which supported the CBY’s transfer to Aden and had stated their willingness to supply it with financial resources, have to date delayed acting on commitments. As a result there is, as of this paper being published, no institution in Yemen with the authority, expertise and resource capacity to meaningfully execute the essential functions of a central bank. Of the general population of some 26 million people, more than 3 million have been displaced from their homes by the conflict, some 30% of Yemenis face severe food insecurity, roughly half require life-saving humanitarian assistance, and four out of five require some form of humanitarian assistance. Nationwide, the UN reports that 10 of Yemen’s 22 governorates are on the brink of famine. Neither the internationally recognized government, nor the Houthi-allied rebels, have anywhere near the institutional capacity or resources necessary to address this crisis, and indeed have shown little intention of even attempting to utilise the resources they do have. Most NGOs and aid organizations have withdrawn or significantly scaled down their operations due to the war; those remaining are often unable to reach populations in needs, given that the ongoing battles, nation-wide fuel shortages, bombed roads and bridges, and the continuous threat of airstrikes on truck traffic have hobbled transportation networks and made large areas of the country essentially unreachable. The undermining of the central bank, and thus the country’s commercial bank system, will have negative repercussions on almost all logistical aspects of humanitarian aid delivery in Yemen. Should the CBY fail to meet the country’s international debt servicing obligations, future loans and funding will also be put at risk. For instance, should the CBY fail to make its upcoming debt servicing payment to the World Bank, it will be become ineligible for the some $400 million in financing for emergency programs the World Bank’s International Development Agency has committed to the country. The Saudi-led coalition’s 18-month land, sea and air blockade, although having eased slightly in recent months, continues to severely restrict the commercial goods and humanitarian aid arriving to the country, while inside the country sieges of various areas – in particular the Houthi siege of government-held areas of Taiz city – are doing much the same. In parallel, coalition airstrikes have caused extensive damage to the country’s major ports and led to long delays in off-loading cargo ships, while bombing across the rest of the country has decimated essential infrastructure both public and private, such as hospitals, schools, power plants, water and sewage facilities, markets, factories, and residential areas. Even before the 2011 political crisis that precipitated the current conflict, Yemen was one of the least developed countries in the world and the poorest in the Middle East and North Africa. The World Bank reported in June that the incidence of poverty almost doubled between 2014 and the spring of 2016, from 34% to 62% of the population, based on a national poverty line of roughly $50 per capita per month (in 2014 prices). The lack of a functioning central bank has left most of the 1.2 million Yemenis employed in the public sector without a paycheck since August. 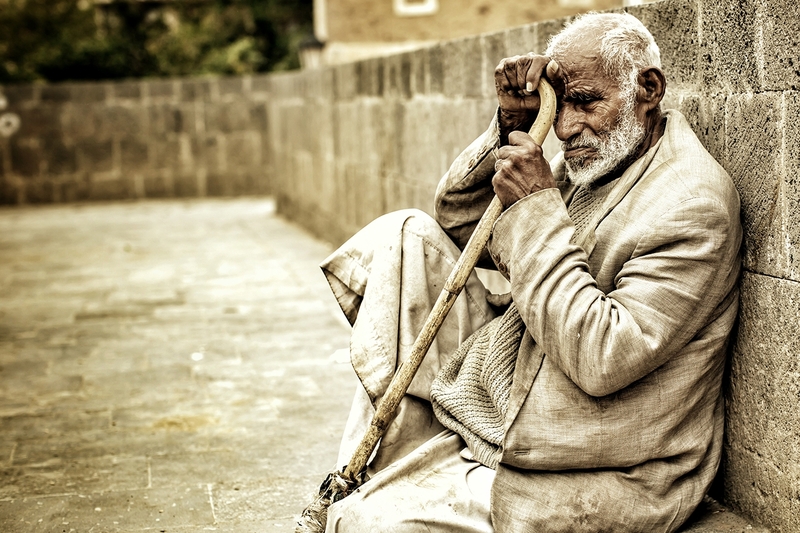 As heads of households they are the breadwinners for as many as 6 million people, based on average family size in Yemen, meaning millions more families have been driven into poverty, and many of those already poor into destitution. Ending the current conflict would be the quickest and most effective means to help mitigate the horrific humanitarian crisis Yemen is facing. Short of this, it is essential for the various parties to the conflict, as well as local, regional and international stakeholders, to coordinate efforts to empower the CBY to resume its functions as quickly as possible, regardless of where it is headquartered. In particular, there is an immediate critical need to pay the country’s civil servants; such a huge segment of the population losing their income is accelerating the spread of famine amongst a people already enduring one of the world’s worst humanitarian crises. The disaster will be further compounded without the resumption of import credits to ensure the country’s food supply; Yemeni wheat importers estimate that without renewed import financing for grains, existing domestic supplies will be exhausted in two months. Other CBY duties that need urgent attention – whatever the mechanism developed to restart central bank operations – include supporting the Social Welfare Fund in providing aid to the poorest segments of Yemeni society; extending lines of credit for basic fuel imports; stabilizing the rial and alleviating the liquidity crisis; and paying or rescheduling foreign debt obligations to maintain the trust of financial markets and ensure Yemen is eligible for loans to rebuild after the war. Serious policy discussions should avoid, however, entertaining scenarios in which the new CBY administration in Aden has the central bank up and running again without coordinating with the staff and administration of the former headquarters in Sana’a. The lack of institutional experience and expertise at the Aden-based CBY, as well as the country’s financial infrastructure being heavily concentration in the capital city, would present daunting challenges for a successful transfer even if Yemen were a developed, stable and peaceful nation enjoying moderate economic growth. Given the reality of Yemen today, the chances are extremely small that the CBY in Aden will be able to unilaterally develop the capacity to function as a central bank in the near to medium term, regardless of the level of potential support from Yemen’s internationally recognized government, Hadi’s regional and international allies, and international financial institutions. The only realistic option for Yemen to have a properly functioning central bank running in the near term is for there to be cooperation and coordination between staff at the CBY’s previous and current headquarters. A necessary first step towards this goal is the reinstatement of the agreement between the warring parties to respect the neutrality of the central bank and to not interfere in its operations. Regional allies, the international community, and indeed all stakeholders in Yemen should apply maximum pressure on the warring parties in this regard. In particular, every possible effort must be made to prevent the weaponization of the economy by any side in the conflict. The international community must not accept the induced starvation of millions of people to be used as a tactic of this war. The specific dynamics of the cooperation necessary between the Aden and Sana’a CBY branches are beyond the scope of this paper. One benefit of the Aden-based CBY may be, however, that Gulf governments backing President Hadi – which also have an extensive history of providing Yemen financial aid – might be more willing to provide the CBY with financial resources necessary to resume operations. The Aden-based administration could, for instance, effectively lead a real-time audit ensuring bank reserves are not being misused or re-directed to the warring parties, while the Sana’a-based branch – which already has all the necessary financial and logistics infrastructure, and working relationships with Yemen’s commercial banks – would carry out operations. Such an institutional setup could potentially help elicit financial assistance beyond just the Gulf region, but for that to happen clarity must be established regarding the level of Yemeni government support for its own central bank. President Hadi must redirect revenues from oil exports, tax receipts and other state income back to a government account at the CBY. Assistance and, initially at least, supervision of CBY operations by international financial experts would also foster greater trust in the independence and operational capacity of its nascent administration. Another form in which external intervention could take place, at least until the mechanisms of cooperation between the CBY branches in Yemen become functional, is for financial aid provided by donors to be held in an offshore account administered by an independent economic committee. This committee would work in coordination with the CBY administration to ensure that basic economic stabilization in Yemen is maintained. The downside of this option is it risks undermining CBY sovereignty and independence, but in today’s extraordinary circumstances, with no functioning central bank in Yemen and millions of people facing imminent starvation, such international intervention is warranted. An appropriate mechanism for this response could be to invoke the UN’s Responsibility to Protect (R2P) protocol. Indeed, Yemen could be an opportunity to redeem the intended spirit of the R2P protocol after the controversy surrounding the 2011 intervention in Libya. In any possible scenario in which one or more of the warring parties attempted to prevent or interfere with the work of the independent international economic committee, any UNSC response would extend from Yemen having been placed under Chapter VII jurisdiction in February 2014, under resolution 2140. This offers the UNSC a range of targeted, non-military measures under Article 41 of the UN charter. While there is no specific precedent to invoke Article 41 in regard to economic intervention, such invocation would be in line with the general precedent of intervening to stop a massive escalation in human suffering due to civil war, or in response to non-cooperation with UN peace efforts. For example, a targeted temporary sanction, aimed at suspending donor funding to the offending parties, and redirecting that to the offshore account administered by the independent economic committee, would fall under the auspices of the UNSC’s enumerated powers under Article 41. Exercising Chapter VII powers must be taken as a last resort only, and all parties involved in the independent economic committee should emphasize its temporary nature. Authority and responsibility for basic economic stabilization in Yemen must be progressively transferred back to the central bank concurrent with the CBY regaining the capacity to fulfill its duties. It must be recognized by all stakeholders in Yemen, however, that in the event there is no intervention to help reinstate central bank functions and current trajectories are allowed to play out into the foreseeable near-to-mid term, worst-case scenarios for the humanitarian crisis will be unbounded. Mansour Rageh is Chief Economist at the Sana’a Center and an economist at the Central Bank of Yemen. Amal Nasser is a non-resident economist at Sana’a Center based in Berlin. She holds an M.Sc. in Economics from the Berlin Institute of Technology. Farea Al-Muslimi is Chairman of the Sana’a Center and a non-resident fellow at Middle East Institute in Washington, D.C..
Authors’ note: This paper would not have come to reality without the extensive editing and reviews of Spencer Osberg and the research assistance of Waleed Alhariri. The authors would like to express our utmost gratitude for their invaluable contributions.